To keep the pool open for traditions such as night swims, pirate nights, weekend games and swim lessons, it was time for a major renovation. 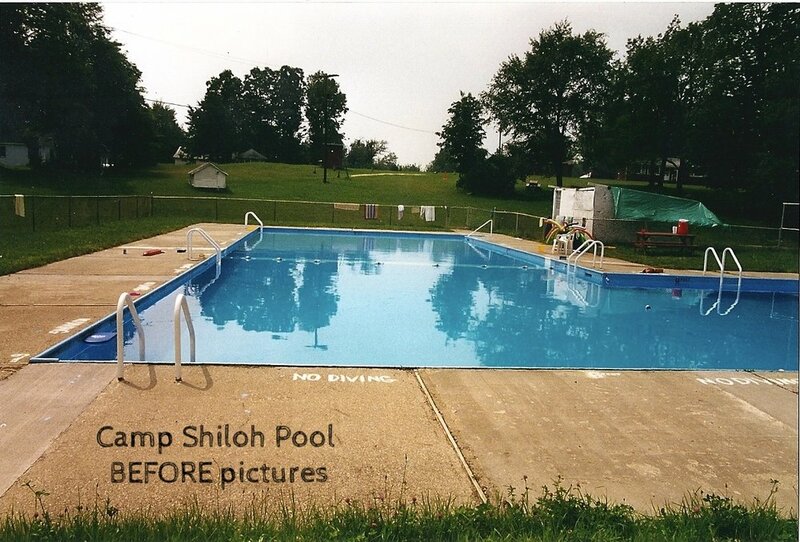 Over the past few years the pool has been closed as much as it was open during camp, and required extensive repairs in order to use this summer. See the timeline of our 3 phase project below, which is now officially complete!! Click the icons to enlarge the pictures in each phase and scroll through the images. Roll over the enlarged image to see the text. Local engineer and code enforcement review and approve that plans meet safety standards. Construct road for hauling equipment and material. Excavation of concrete pool perimeter to evaluate additional repairs. Excavation of pool equipment room and all pool walls to floor level. Your gift gives campers a place to see they are safe, capable, and loved.